Russia on Thursday began major joint military exercises with Belarus along the European Union’s eastern flank, the biggest Russian war games since 2013. Named Zapad-2017 (West-2017), the maneuvers, scheduled to last until September 20, are taking place on the territory of Moscow’s closest ally Belarus, in Russia’s European exclave of Kaliningrad and in its frontier Pskov and Leningrad regions. According to Moscow, the exercise, which is not far from the borders of NATO allies Estonia, Latvia, Lithuania and Poland, will involve 12,700 troops, 70 aircraft, 250 tanks and 10 battleships testing their firepower against an imaginary foe. 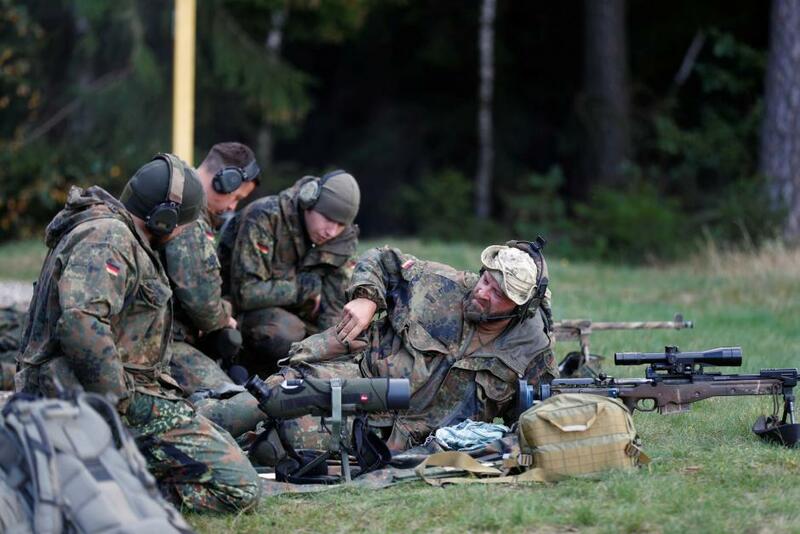 But NATO claims Russia has kept it in the dark and seems to be massively underreporting the scale of the exercises, which some of the alliance’s eastern members insist could see more than 100,000 servicemen take part. NATO said last month it will send three experts to observe the military exercises but alliance Secretary-General Jens Stoltenberg wanted the two countries to allow broader monitoring. NATO spokeswoman Oana Lungescu said the three experts will attend “Visitors’ Days” in Belarus and Russia after they were invited to attend. But she said international rules permit monitors to have much wider access, including briefings on the exercise, opportunities to talk to soldiers and overflights. The war games come with tensions between Russia and NATO at their highest since the Cold War due to the Kremlin’s meddling in Ukraine and the US-led alliance bolstering its forces in eastern Europe. NATO allies are concerned that Moscow might leave military equipment behind in Belarus when the exercises are over, perhaps to use later should President Vladimir Putin want to send troops quickly across the border, as he did in Georgia in 2008 and Ukraine in 2014.